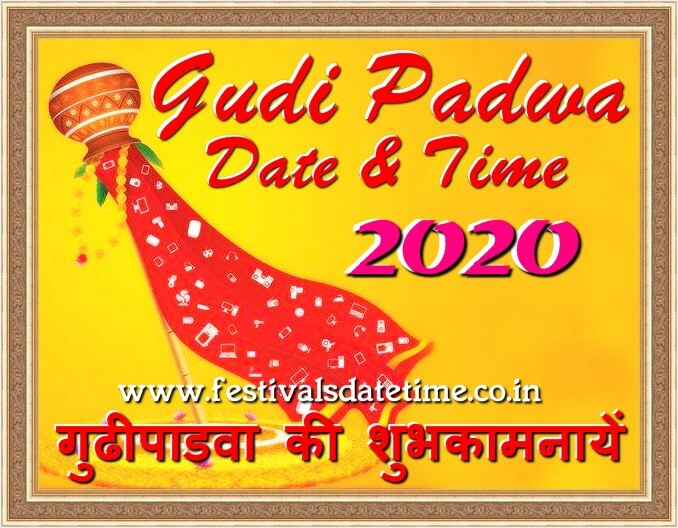 About Gudi Padwa : Gudhi Padva is the Sanskrit name for Chaitra Shukla Pratipada. It is celebrated on the first day of the Chaitra month to mark the beginning of the New year according to the lunisolar Hindu calendar. The word पाडवा or पाडवो comes from the Sanskrit word पड्ड्वा/पाड्ड्वो, which stands for the first day of the bright phase of the moon called प्रतिपदा in Sanskrit. In south India, first day of the bright phase of the moon is called pāḍya . Konkani Hindus variously refer to the day as संसर पाडवो or संसर पाड्यॆ, संसार being a corruption of the word संवत्सर. Konkani Hindus in Karnataka also refer to it as उगादि.